Ped- is a prefix, meaning “foot” (as in pedicure). It is also a prefix that means “child” (as in pediatrician or pediatrics). Also, a CURE is the ultimate goal of the childhood cancer community. So, together, “pedi” and “cure” combine to form the name of a pretty fun way to raise funds for childhood cancer research and family support programs. Salons, spas, and even families and groups of friends can host Pedi-CURE™ events to help promote childhood cancer awareness and raise funds to support the research and family support initiatives of the American Childhood Cancer Organization®. These events also help create understanding, supportive communities for children and families who are facing the difficult childhood cancer journey. 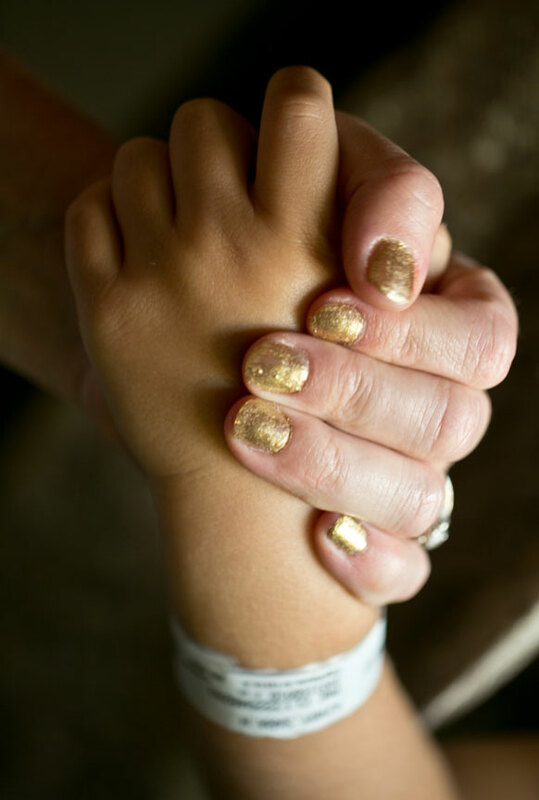 In addition, the signature gold nail polish used in Pedi-CURE™ events helps raise awareness of gold as the international color for childhood cancer awareness. Our Pedi-CURE™ program is a simple, fun way to raise awareness and funds for these children, join in the fight to beat childhood cancer, and provide HOPE to those who need it most. We encourage you to come up with a creative, exciting way to spark awareness of the needs of children with cancer, while raising money to support the ACCO and its mission to improve the lives of children with cancer. Every Pedi-CURE™ event creates awareness of childhood cancer, creates supportive communities for local families who are dealing with childhood cancer, and raises funds to provide resources and support for children and their families currently fighting cancer. If you would like to host Pedi-CURE™ event for your friends and family your first step will be to select a date and time for your event. Then let your friends and family know you will be holding the event and who is interested in attending. For these type of events we ask for a minimum donation of $10 from each attendee. However attendees are welcome to give more. All attendees will receive a Pedi-CURE™ awareness nail set for attending the event. These kits include a nail tool kit, gold emory board and a bottle of Pedi-CURE™ gold nail polish. 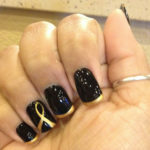 for Childhood Cancer with a Pedi-CURE™ event there are a couple of options for how you can participate. First determine when you would like to hold the event and for how long. We ask that salon’s pledge to donate between 10% and 20% of the revenue from pedicures during the event time frame. ACCO will provide flyers for the salon to display at their location as well as a digital ad to be promoted through the salon’s social media to inform their customers they are supporting childhood cancer awareness month. If your salon would like to help raise awareness for childhood cancer, but the profit-share event is not a good option, we have the gold ribbon option. 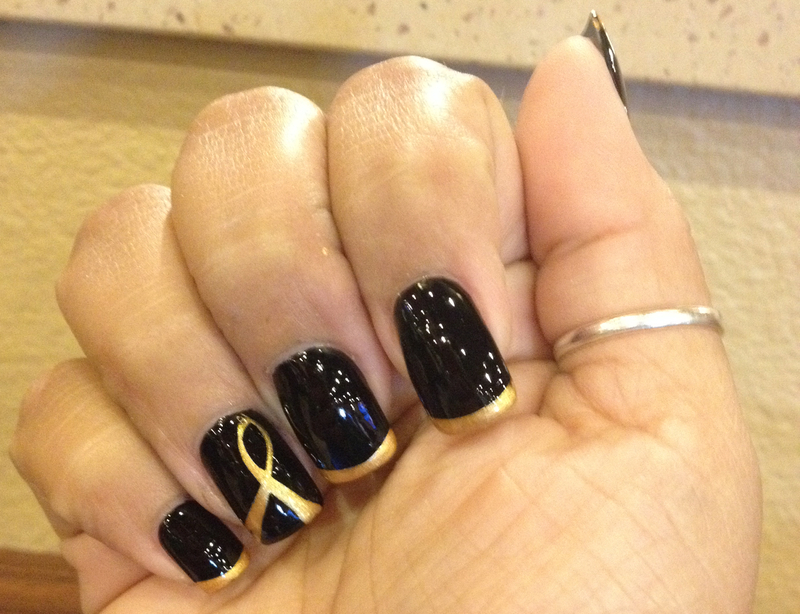 During the event we ask that you offer your customers the option to receive “gold nail art” for a donation to ACCO. We would suggest a small gold ribbon or heart on their big toes. ACCO will provide 2 bottles of gold nail polish to participating salons. ACCO will provide flyers for the salon to display at their location as well as a digital ad to be promoted through the salon’s social media to inform their customers they are supporting childhood cancer awareness month. Hosting a Pedi-CURE™ EVENT IS EASY: FIND OUT HOW TO PARTICIPATE HERE! Download our EVENT HOST PACKET. Reach out to your friends and family and pick a date. Register your event below and receive your event materials.